Space is limited for this event, so be sure to save your spot. Following the webinar, the video will also be made available here. In this edition of the Talos Quarterly Threat Briefing, Nick Biasini from Cisco Talos will discuss vital intel around the most prevalent and damaging threats of the last quarter. 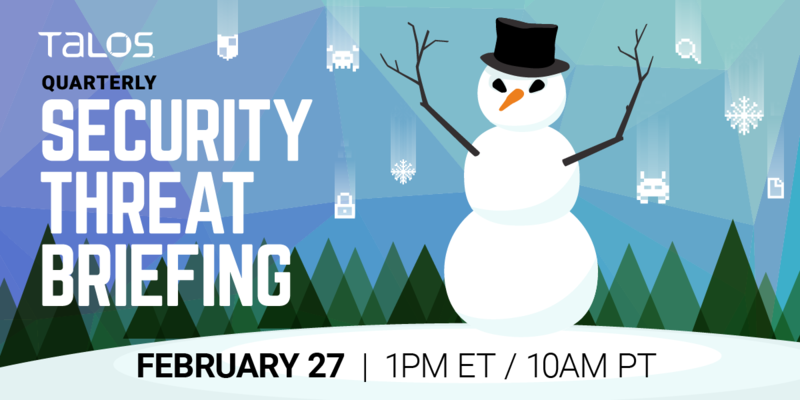 Join the briefing to take a look at targeted attacks, get an intel on Necurs, and learn about the shift to malicious mining. In his time with Talos, Nick has been responsible for exposing new details to major threats with a focus on crimeware. This includes exposing the Angler exploit kit, identifying new techniques like Domain Shadowing, helping to stop a large scale exploit kit campaigns, and revealing clever spam campaigns delivering malware. 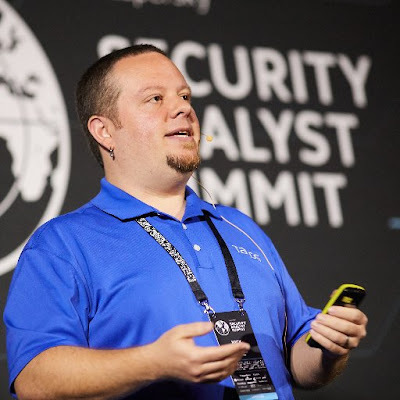 Nick has a masters degree in digital forensics from the University of Central Florida and has worked for government and private sector environments in his career.